A Taiwanese court Tuesday found former president Ma Ying-jeou not guilty in a political leaks case. 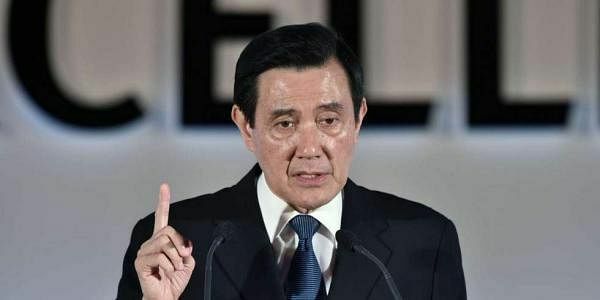 TAIPEI: A Taiwanese court Tuesday found former president Ma Ying-jeou not guilty in a political leaks case, one of a series of lawsuits brought against him since he stepped down last year. Ma was acquitted of leaking secrets and of defamation. He will face a new trial after state prosecutors brought fresh leaks charges against him earlier this month. "Defendant Ma Ying-jeou is found not guilty" of violating the Communication Security and Surveillance Act and the Personal Information Protection Act, said Judge Wu Yung-yi. Ma was not present when the verdict was announced. He denied any wrongdoing throughout the trial. Tuesday's case, filed by lawmaker Ker Chien-ming, accused Ma of asking the then-prosecutor-general to leak secrets to him about a confidential judicial probe in 2013. Ma was also accused of defamation by implying that the lawmaker had sought to influence a court case which he (Ker) was facing. The judicial probe was investigating whether the parliamentary speaker at the time -- a political rival of Ma -- had improperly influenced the case against Ker in an attempt to benefit the lawmaker. While still in office Ma had immunity from prosecution. But since he stepped down in May last year after serving the maximum two terms, the 66-year-old has been hit with a series of corruption and other allegations.